Home / Fanboying! 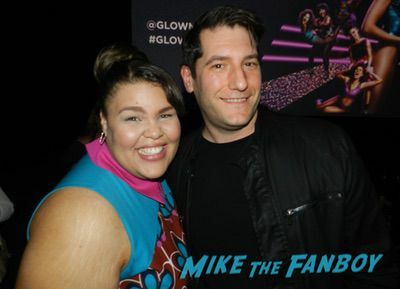 / GLOW FYC Q and A! Meeting Britney Young! Jackie Tohn! 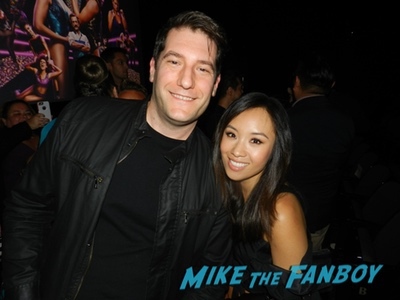 Ellen Wong! Sydelle Noel! Gayle Rankin! Autographs! And More! GLOW FYC Q and A! Meeting Britney Young! Jackie Tohn! Ellen Wong! 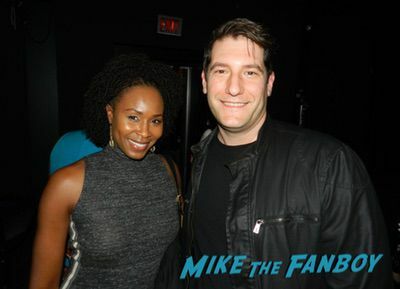 Sydelle Noel! Gayle Rankin! Autographs! And More! Out of all the television shows out right now, one of my favorites has to be Netflix’s GLOW. It’s hilarious and one of the funniest shows on TV. 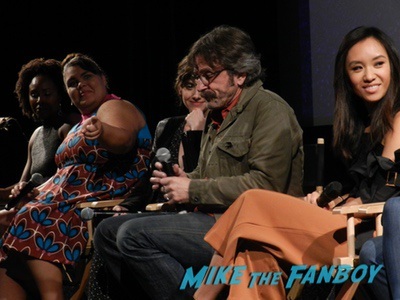 I was invited to a rare q and a with Actors Alison Brie, Marc Maron, Britney Young, Ellen Wong, Jackie Tohn, Sydelle Noel, Gayle Rankin, and Fight Coordinator Chavo Guerrero Jr. It was a Paramount Studios and very overbooked. Pinky and Keith were also here, but sadly Lisa didn’t get in. Billy was dying to go to this and even though I was sick and very tired, I rallied allowing him to get into the event. It’s as if, my goodness knows no bounds. But enough about how good, kind and generous I AM. I have to tell you, it was an odd event from the start. The venue was too tiny and hundreds of people got turned away. Then people lied saying that they were nom com, it was just insane. The party didn’t have food, only nachos and some finger food that if you stood back grown men were diving over table to get because everyone was so hungry. 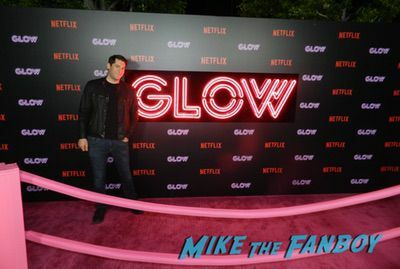 There was a fun photo set up to get a pic in front of the GLOW sign. In the theater there were a crazy couple that ended up sitting next to me. The older woman assaulted me and said, “You’re too tall and have to move.” I clearly did not respond well to that but all was okay until the crazy older couple started a fight with Keith and Pinky. Pinky pretty much told her off and we were going to get security and then the couple ran out. 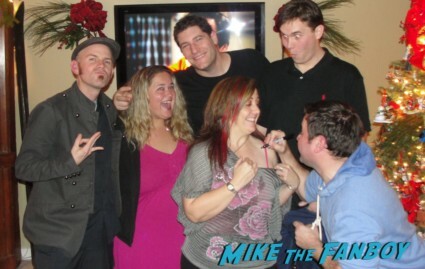 Did I mention that this was an insane night? The q and a was great, the actors were very engaging and talked so much about the different aspects of the series. Alison Brie talked a lot about the series and how she worked really hard on the filming of the series. After the panel security went insane and practically jumped in front of people to get the cast out of the theater. Alison Brie bolted as did Marc Maron. The rest of the cast were pretty much confused as to why the security was so irrational. 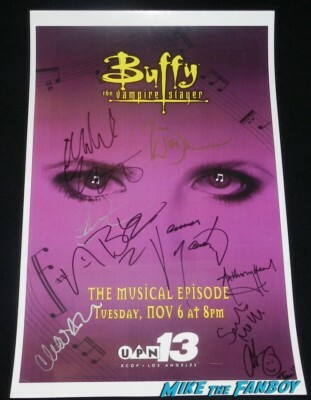 Everyone was so nice after all that and I got everyone but Alison and Marc on the two posters I started earlier. Everyone was super cool after all the weirdness!